Coaching, consultancy, training, publications, and membership benefits can be traded or paid in % or total with gift certificates and discount coupons. HOW CAN YOU PURCHASE A GIFT CERTIFICATE? Visit: our online purchase page. WHEN DO YOU RECEIVE A DISCOUNT COUPON ? The Matrix-Q Research Institute suggests monthly tasks that help us generate value in one or more of the 9 Economies. Once you have completed one task, or demonstrated engagement into SDG Achievement, discount coupons will be given to you, your team and organization. Would you like to introduce your organization, SDG Project to the Matrix-Q SDG Bank ? you may be eligible for 8.000,00 Matrix-Q Sun [X] you could use to support the development of your SDG Project. WHAT CAN WE DO TO RECEIVE MATRIX-Q SUN ? 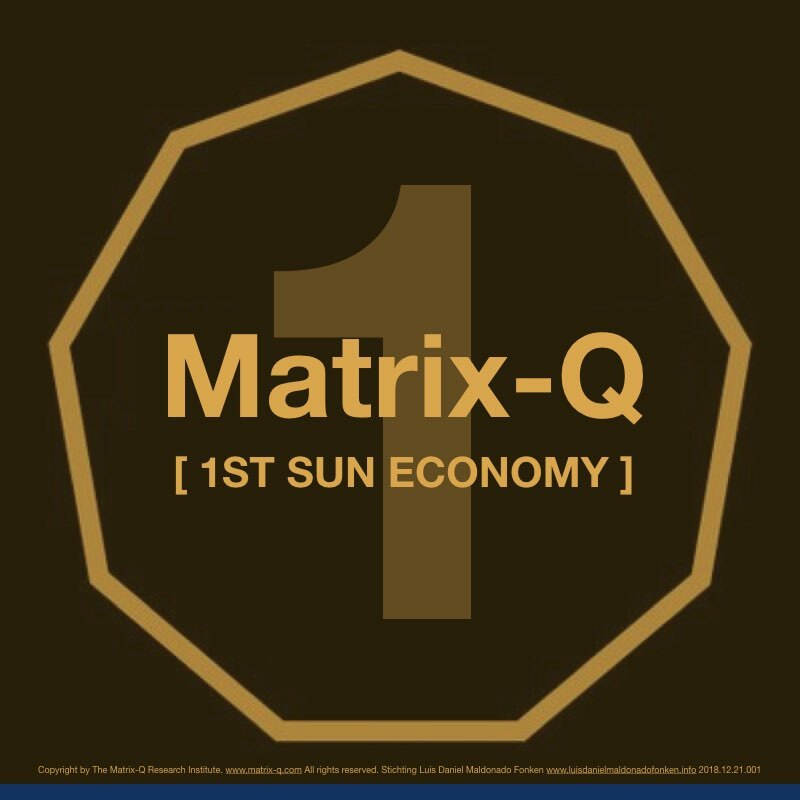 Matrix-Q Sun are the type 01 of Matrix-Q Tokens you could use to trade for a Matrix-Q Ecosystem membership, and other products and services. By fillinig out the following e-test, and joining a self-test assessment interview of 15 min online (skype) you will receive from 1.000,00 up to 2.500,00 Matrix-Q Sun discount coupons, and create a total of 3.500 Matrix-Q Sun  you may use for the Blue Gold Membership fees, and enjoy 6 months of benefits and trainings. e-Test: just fill it out: https://goo.gl/forms/jG2hybCBWzKv8AOj1 and suggest a schedule day and time for the 15 min skype session to our email: welcome@matrix-q.com For any additional questions or advise please contact us.